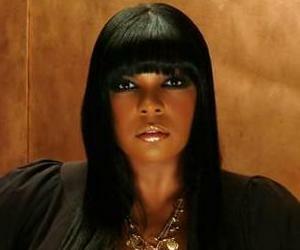 R&B diva Syleena Johnson speaks about her past, present and future in a recent interview with Creme Magazine. The influences of R. Kelly, Kanye West and her father has helped her throughout her career, said the singer. “I think both R. Kelly and my father are the reason for the breakout of my career. I don’t think that Robert is instrumental in the break of my career; he was very instrumental in creating really great songs for me. He created the single, and I guess that has some merit, but my dad did the mos,” Syleena says in her Creme interview. The singer has multiple projects outside of music these days. Currently, the 36-year-old is working on numerous projects from her Mommy’s Got Soul workout DVD to her newly launched T-shirt line, Syleenaisms.